Understand your cleaning personality and preference. 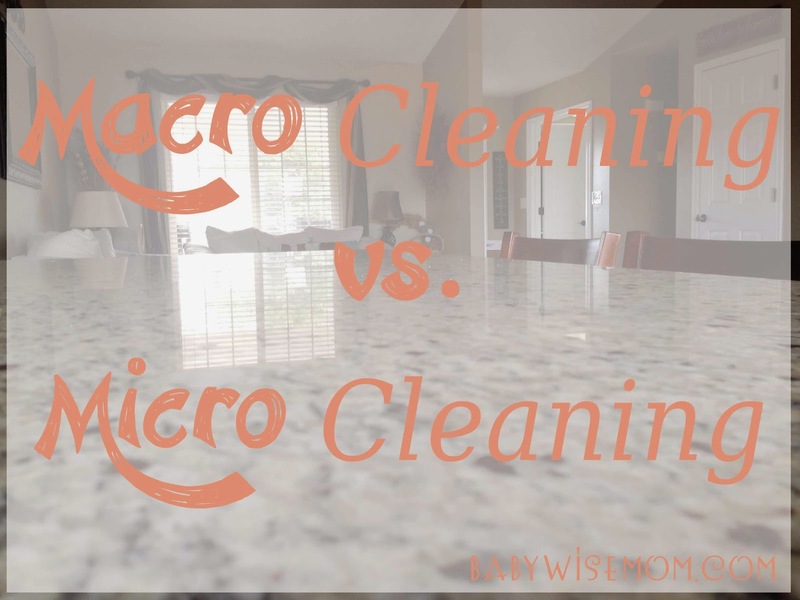 Learn about macro versus micro cleaning to understand yourself and your family members. Have you ever looked at someone’s idea of “clean” and scratched your head in confusion? Do you find yourself frustrated at how your spouse or child cleans something and feel they put their focus and efforts on the wrong thing? Nate and I hadn’t been married for long when some good friends of ours were telling us about how they were opposite cleaners. One was macro and one was micro. I found it fascinating. Nate and I are opposite cleaners, also. Over the years, I have found most people have never heard of micro vs. micro cleaning. 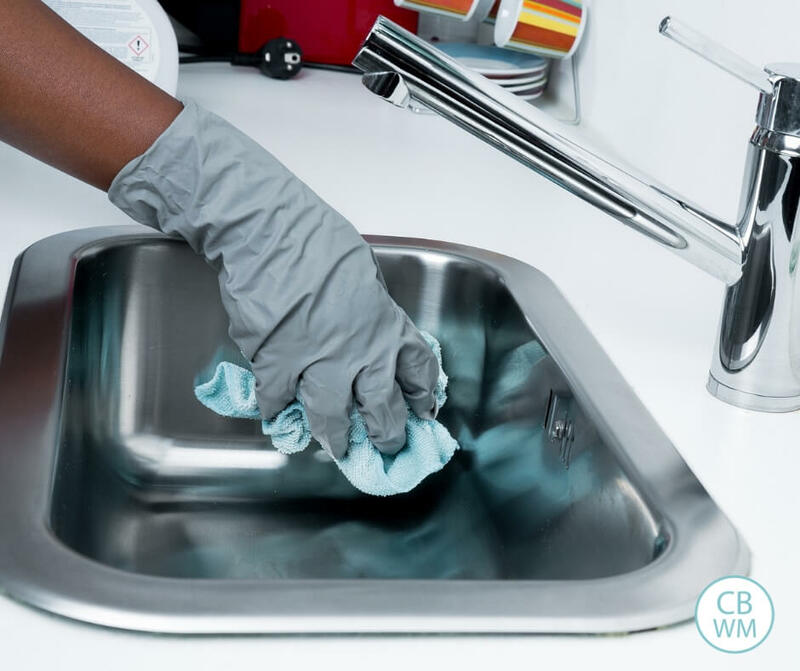 Understanding the concept can really help a couple understand hopes and expectations of cleanliness of the home. A macro cleaner is someone whose first priority in cleaning is all surfaces are clean. Everything you can see is picked up and out of eye-sight. A micro cleaner is someone whose first priority in cleaning is in the details. The surfaces are not as important as what is behind the cupboard or in that drawer. A micro cleaner will not clean the nightstand off unless all of that stuff can be neatly put away in organized locations, where the macro cleaner would rather shove everything into the drawer than have the nightstand be a complete mess. 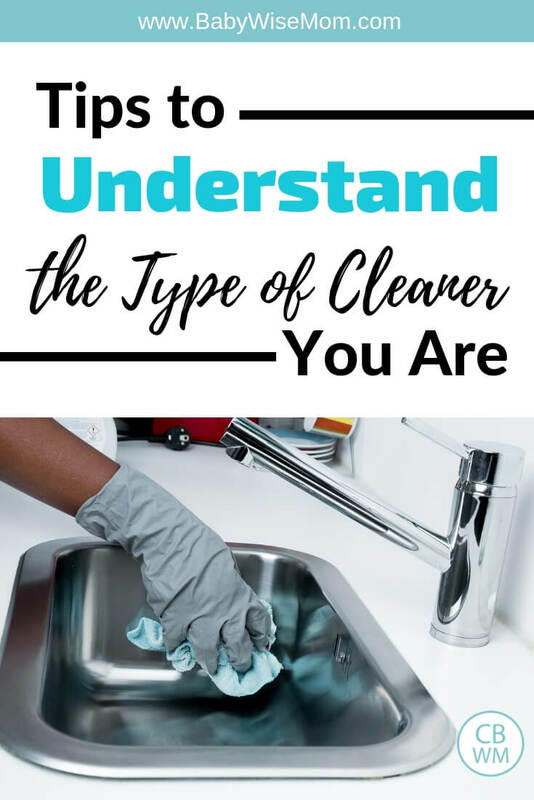 While you can drive each other crazy if you are opposite types of cleaners, it can really be good thing if you both have some attention to the opposite details. If you are both a certain type of cleaner, the good thing is you can live more harmoniously as far as how clean the house is or isn’t. The bad thing is one thing can become severely neglected before you really notice. I am a macro cleaner. Nate is a micro cleaner. Luckily, we both like things overall clean, but our focus is on different things. If I walk into a room and there is clutter, I feel like the house is in shambles. Nate doesn’t mind the clutter so long as the drawers, closets, and cupboards are organized. However, if the drawers, closets, and cupboards are disorganized, he feels stress. Someone who is a micro cleaner can feel like the house is messy when everything you see is cleaned with no clutter, but the closets are disorganized. A macro cleaner, however, is pretty good with things so long as it is out of sight (out of sight, out of mind, after all). For some people, it can stop there. For others, it can be more complicated. I am, of course, more complicated. I really like my drawers, cupboards, and closets clean. A lot. I like everything organized. But I know I am a macro cleaner before a micro cleaner. I have spent some time analyzing this beyond the, “I am just OCD and like everything clean” conclusion that I could draw. I like my closets, drawers, and cupboards organized because that means my surfaces can be clear. If everything has a place, I know the things will be put into those places rather than sitting out hoping to be shoved into a home someday. By keeping things clean on a micro level, I am more easily able to ensure my first priority, macro, is taken care of. And just because someone has a micro as a first priority doesn’t mean that person won’t also appreciate when everything is put away (neatly). Take a moment to figure out what sort of cleaner you are and what sort of cleaner your spouse is. It can really help you understand each other. 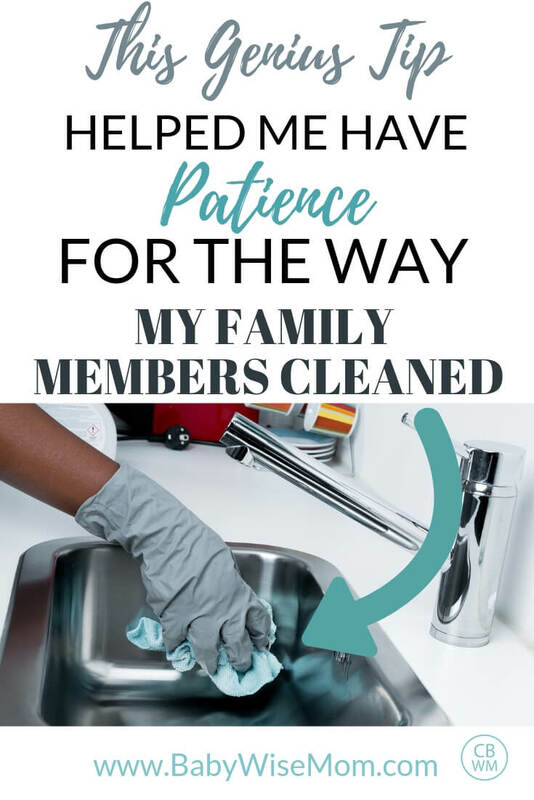 If you are a macro cleaner who works hard to keep the house clean, only to have your spouse agitated because things are a mess, there is a good chance your spouse is a micro cleaner is and is overlooking the beauty of your clean surfaces and stewing over the tornado of the coat closet. 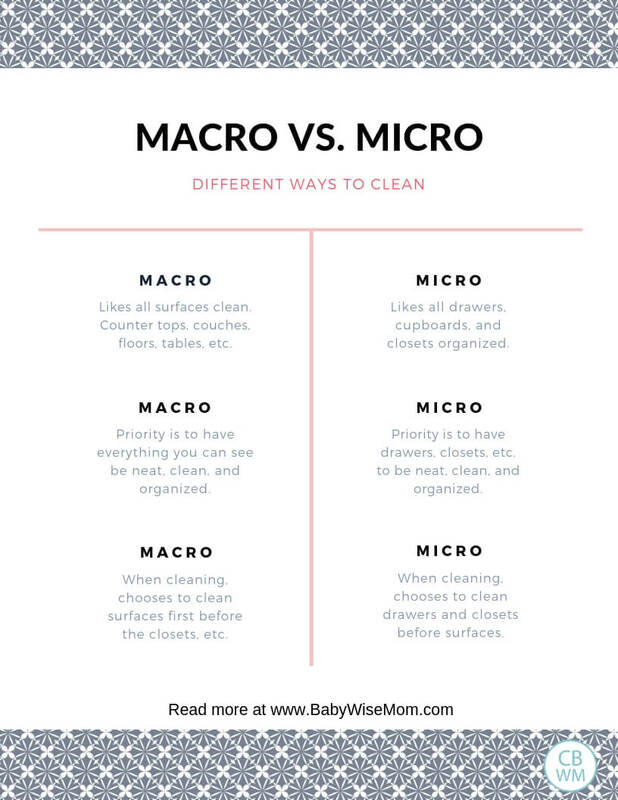 If you are a micro cleaner who spends a lot of time making sure your little spaces are perfectly organized (and that type of cleaning does take a lot of time! ), you might be confused as to why your macro spouse feels like the house needs some attention just because there are piles here and there. You are going to get to them at some point, right? As soon as that closet is ready for the things to be put away just so. It should be noted that both types of cleaners can be driven insane by children. The micro cleaners can never win because no child will have that level of detail, and some children actively work against that detail. So you will either clean everything up yourself to ensure things are just so, or you will be feeling that stress of knowing your closets are messy. The macro cleaners probably don’t go quite as crazy because it is just easier and faster to clean on a macro level, especially when children are helping to clean. Children will make a macro mess every day, but it can be cleaned up. No matter which side of crazy you are on, just don’t try to follow your children around cleaning all day. You won’t get anything done other than cleaning and re-cleaning their messes. At some point in my earlier years of parenting, I realized I had to pick 1-2 points in the day that would be clean up time rather than cleaning every time there was a mess. We cleaned up at transition points. We always picked up before bed. I liked to have them clean up at the end of independent play because I felt like it helped them learn to clean up after themselves. We cleaned up at the end of any sort of art project before moving on to something else. I also usually required a full clean up before something like TV or video games are turned on. Your child who spends hours cleaning out his desk on cleaning day might not be delaying cleaning his room; his desk might be an important first step for him in his quest for a clean room. For your child who shoves everything into the closet when it is time to clean up, she might simply be a macro cleaner who thinks that is indeed cleaning. No matter what kind of cleaner you are, require your children to help clean up after themselves when it is time. I know it takes (WAY) longer with a toddler than it does by yourself. The day does come that the child does a pretty good job. It is very worth the extra time and effort it takes you to teach them and make sure they do it. Knowing your preference can help you just know yourself that much better and understand what makes you tic (and what ticks you off!). So, what are you? Macro or micro? This made me laugh because it's so true! I would say I'm more micro because I'll delay cleaning off the counters because I'll want the time to do it right (filing all the papers, taking items to other rooms, etc) instead of just sweeping it up in a pile so it's nicer to look at. Yes Jessi that sounds micro! That is totally my husband. Interesting post. I think I'm macro. Sorry for asking a question about sleep training here but I need your advice! My 5.5 month old baby cannot fall asleep without her pacifier but I have been slowly trying to wean her off of it because it disrupts her sleep. Here is what I have been doing: I put her down for her nap without the paci, she cries, I set the timer for 15 min, and then if she hasn't fallen asleep by 15 min (she usually doesn't fall asleep), I go in and insert the paci. My question is, am I defeating the purpose of CIO? Do you have any suggestions? Thank you! Pekomama, if she isn't falling asleep in that time, I would say yes, it is defeating the purpose. I would either: A) go all in for CIO. Expect it to be bad for a few days. B) let her start with the paci, but if it falls out, you don't go in and it moved to CIO. It seems people who use a paci and don't have problems do this. Good luck! Interesting!! I am definately a macro cleaner but I too am complicated, and also like things to have their place and be neat and tidy inside closets and drawers. My husband is a micro. What i find strange is that I have to clean regularly to keep sane. But my husbands drawers and closets can remain cluttered and messy for months without it bothering him even tho he is a micro. Ha Ha. I wonder if there is a name for that? John–haha–seriously it has to be a male thing. They are better at compartmentalizing and blocking things out. Women multitask. I recently read that even while sleeping, 70% of w woman's brain is active while men are very low–I think 10%. Funny. My husband and I are both micro cleaners. We love detail and organization and would rather delay cleaning, especially bigger projects, until we can take the time to do them right. We both grew up with macro cleaning parents. I wonder if their chronic disorganization compelled is to be more organized. It will be very interesting to see what kind of cleaners our children will be! I agree Kathelle! Brinley is 2.5 and quite helpful with cleaning.